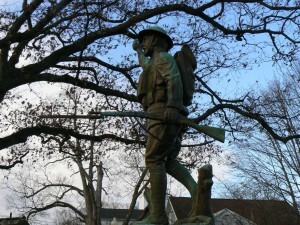 Bethel honors its World War I veterans with a local version of a notable Doughboy statue. The dedication on the front (south) side of the monument’s base reads, “Erected by the Community Association of Bethel in honor of her war veterans.” The base also bears the monument’s 1928 dedication date. Like most copies of the Doughboy statue, Bethel’s monument has been repaired a number of times over the years. 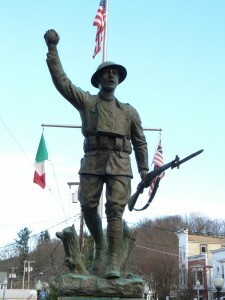 The bayonet is a copy modeled after the North Canaan monument. 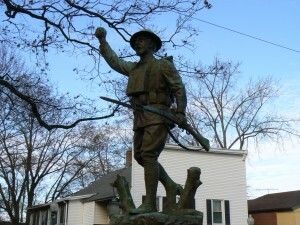 Unlike the copies in North Canaan and Harrison, Bethel’s Doughboy has the original barbed wire between the two tree stumps near the soldier’s feet. 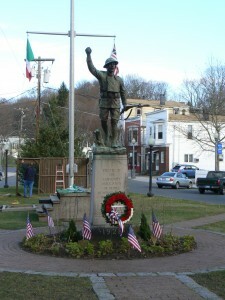 Bethel’s monument is located in Doughboy Square, on a triangular green in the heart of downtown. (The gentleman in the background is preparing a holiday display on the green.) The area around the green was originally named for Bethel native P.T. Barnum, and was renamed in 2004. 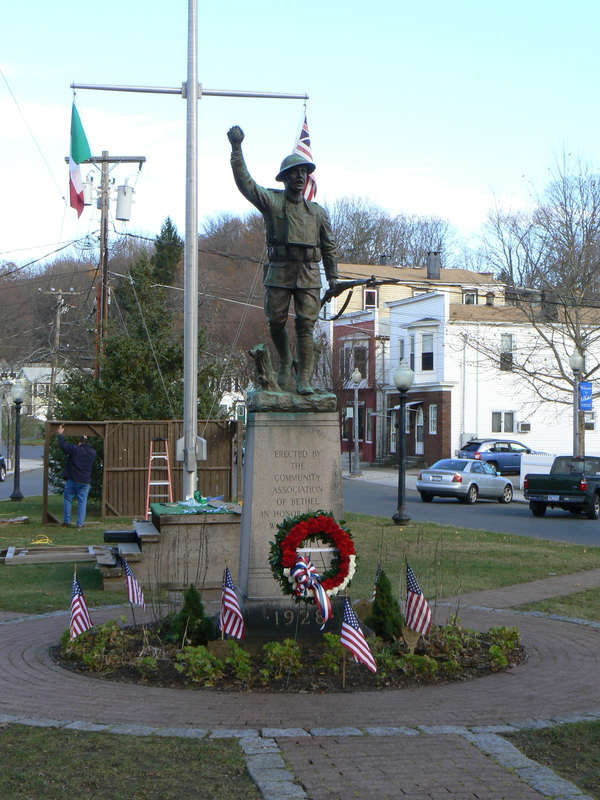 Barnum had donated a large bronze fountain in the square that had deteriorated by the mid-1920s and was replaced by the Doughboy monument.